All discourses aimed at asserting the value of human life as such—whether philosophical, ethical, or political—assume the notion of personhood as their indispensable point of departure. This is all the more true today. In bioethics, for example, Catholic and secular thinkers may disagree on what constitutes a person and its genesis, but they certainly agree on its decisive importance: human life is considered to be untouchable only when based on personhood. In the legal sphere as well the enjoyment of subjective rights continues to be increasingly linked to the qualification of personhood, which appears to be the only one capable of bridging the gap between human being and citizen, right and life, and soul and body opened up at the very origins of Western civilization. The radical and alarming thesis put forward in this book is that the notion of person is unable to bridge this gap because it is precisely what creates this breach. Its primary effect is to create a separation in both the human race and the individual between a rational, voluntary part endowed with particular value and another, purely biological part that is thrust by the first into the inferior dimension of the animal or the thing. In opposition to the performative power of the person, whose dual origins can be traced back to ancient Rome and Christianity, Esposito pursues his strikingly original and innovative philosophical inquiry by inviting reflection on the category of the impersonal: the third person, in removing itself from the exclusionary mechanism of the person, points toward the orginary unity of the living being. Roberto Esposito is professor of theoretical philosophy at the Italian Institute of Human Sciences in Naples and Florence. "In this slim and powerful volume, Roberto Esposito not only diagnoses how this dispositif undermines attempts to secure human rights, but he also provides humankind a means of moving forward, past the person, into the life-validating realm of the impersonal." "Is there a term that dominates thought today more than person? From biotechnology and social networking to corporations, person increasingly appears as the dark heart of contemporary life. In this compelling and at times troubling reflection, Roberto Esposito measures the biopolitical costs of our obsession with everything personal in a failed project of the common. 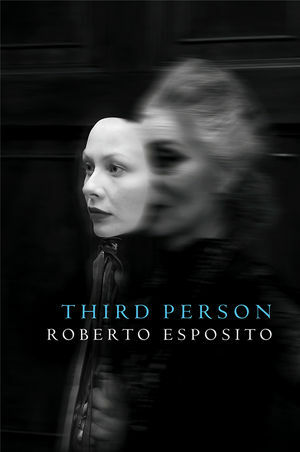 In place of the person, Esposito counsels the impersonal perspective of the 'third person.' Part genealogy, part philosophical guide-book, this book is a bold reflection on life and politics that continues in unexpected ways Esposito's previous readings of biopolitics." "Beyond the horizon of Western subjectivity, behind the sacralization of the person, lies Esposito's impersonal life. Deconstructing the 'human' and its juridical-biological constitution, Third Person casts incisive light on the perilous region which silently encircles it - the event, its anonymity and uncanniness."